Squash Your Limiting (Subconscious) Beliefs. "The Bad Habit Belief Breaker"
Wow, here we are in June already. Wasn’t it just January yesterday? Time is a funny thing. Some days seem to drag on forever, yet six months just zip by. This is the time of year I like to check in with clients and see how they’re doing with those pesky New Year’s resolutions. 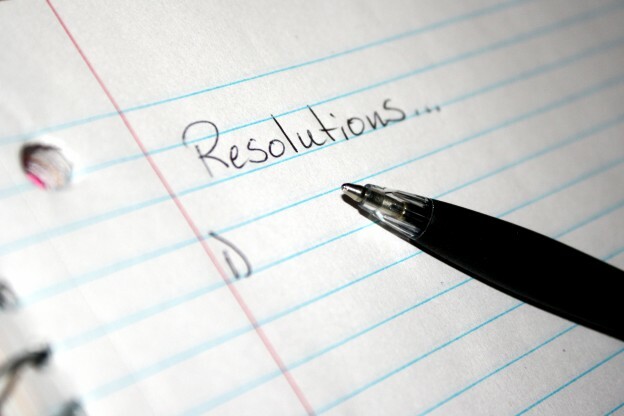 It’s a great time for anyone who has set a new goal for the year to see where he or she is. So, where are you? Have you made progress toward your goal? Are you where you thought you’d be? If not, are you satisfied with where you are or do you need to step up your game? Perhaps there’s just some little thought or behavior that needs to be tweaked to propel you forward again. We often lose sight of the big picture when we’re busy with day-to-day issues. Why not take a little time, maybe just an hour or two, maybe even less to reflect on your goals and dreams for this year. You still have six full months to achieve them. Even if you don’t make it all the way this year, if you keep working and taking the smallest steps you’ll get there eventually. And that’s way better than stopping mid-way. If you need a little morale boost or refresher on the power of the mind, I put together a special, Free 3-Part Video training series that is getting rave reviews. You can check it out here http:///www.LindaAllred.com/onething. Or call someone you’re comfortable working with. Take a local course or simply talk with a good friend if you think that will help you get back on track. Whether your goal is to lose weight, start a new business or start charging what you’re worth for your time, this is a good time to take another step in the right direction. Want to learn more about how to practice self-hypnosis? And Stress Free NOW! Self-Hypnosis Combo Pack™ http://www.lindaallred.com/stress-free-now/. Linda is known as the Hottest Ticket In Town. She is an expert in two of the most powerful belief-change modalities in the world, Self-Hypnosis and the energy work of Kinesiology. In addition, she is the co-author of the best-selling book, Answering The Call, published by Celebrity Press. The book became an instant #1 Best-Seller in two categories, “Marketing, and Marketing For Small Businesses” on Amazon the day it was released due to the message that so many people need in their lives. The book finally allows the reader to Answer Their Own Call in their journey through life, whether that is losing 10lbs, 100lbs, reducing stress, quitting smoking, charging what you are worth or making $100,000 or $1,000,000 in their business. Click here to learn more about how Linda can help you to change your mindset and change your life. Want to book Linda to speak at your next event? Click here to see her signature talks. Take the quiz to determine how pervasive refined sugar is in your lifestyle. Click here to get started. Download Linda's Chapter from the Best-Selling Book Answering the Call and learn how to "Change Your Mindset, Change Your Life!"